The Calcutta High Court recently scorned at a school for withholding a month’s salary of a woman who had availed of child-care leave. 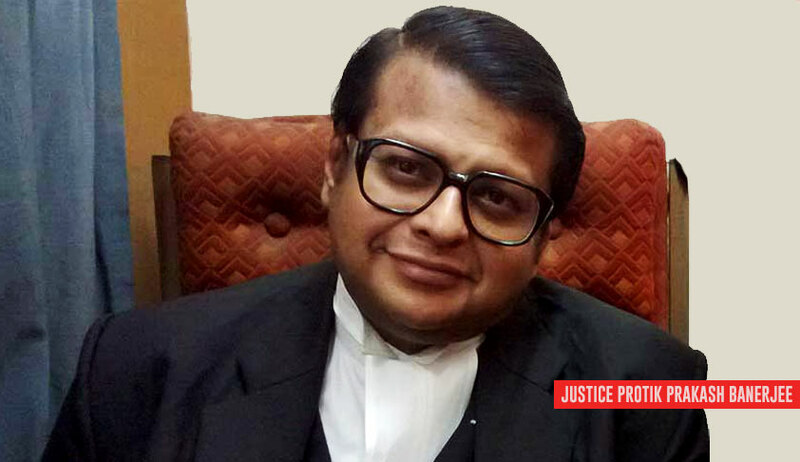 In doing so, Justice Protik Prakash Banerjee analysed the introduction of the concept of granting child-care leaves to a mother, and found that “the very framework is predisposed to perpetuate the existing notions of patriarchy which has still not been dispelled despite 68 years of constitutional experiment in our country”. Pointing out the absence of notions of gender equality as enshrined under Part III of the Constitution of India, the court further asserted that the presumption that the responsibilities within the family must be a woman’s priority is an archaic concept. “That apart, it is to be seen when there is conferment of any affirmative right on women, can it go to the extent of treating them as the sole bearer of child care, in all circumstances, even at the cost of their professional distress? Viewed from this vantage point, such provisions seem to create a dent on the individual independent identity of a woman and tantamount to subordination of a woman where the Constitution confers equal status. A time has come when the society must realize that a woman is equal to a man in every field. The presumption that the responsibilities within the family must be the priority of the women, I protest, appears to be quite archaic,” it explained. All citizens, it said, should be provided with a level playing field, and not just “technical equality”. Justice Banerjee’s judgment also reflected a deeper and sensible understanding of the concept of patriarchy, especially where he highlighted the conflict which patriarchy inflicts in enforcing democratic principles. The court was hearing a petition filed by one Ms. Shikha Sarkar, who had challenged the decision taken by her employer-school to cut off her pay for April, 2017, when she had availed of child care leave. The school, on the other hand, had submitted that though Ms. Sarkar had applied for child care leave from February 14, 2017, she took leave from February 17, 2017, and availed of 42 days of leave even before it was approved. It had, therefore, asserted that she had been wilfully absent without leave, and that the withholding of a month’s salary was only a “mild punishment”. Another single judge of the court had earlier directed the school authorities to consider Ms. Sarkar’s representation. The school had then opined that the grant of child care leave was not a matter of legal right, and had directed the administrator of the school to take a decision on the matter. A contempt application was then filed, alleging that the school had not complied with the single judge’s order, by not disposing of the matter itself. The court then noted that while reiterating its decision, the school authorities had also taken into consideration the fact that Ms. Sarkar had filed a petition before the court. Noting that this wasn’t a relevant consideration for withholding her salary, it opined that the decision violated the well-settled principles of Wednesbury reasonableness. On a deeper scrutiny, it asserted that the school had failed to accord adequate weightage to the fact that “gender equality demands that the species of special protection given to women within the meaning of Article 15 of the Constitution of India, sub-serves horizontal reservation and affirmative action for which one has to give such treatment to women as would negate inequality which has been traditionally imposed on women as those who provide care to children at home, are homemakers and, therefore, are held to be unable to do gainful employment like men”. The court added that while the society provides guarantees of equality, it does not provide the means for a woman to be a woman and still earn her livelihood. It then opined that it would lead to a complete mockery of Article 15 of the Constitution of India if a woman is required to wait until her application for child care leave is granted before she is allowed to go on such leave. “If, instead of the factual situation for which she wanted this leave, her child had had an accident and required urgent hospitalization, would the respondents or even this court insisted, in all fairness, that she postpones taking her child to the hospital until her application for leave was granted? The principle must be same, regardless of the exact reason for seeking such child care leave. This aspect of the matter was not even considered by either the school authorities or the respondent no. 3,” it added. Furthermore, he asserted that the contradiction between patriarchy and democracy is so easily dismissed “because our society has so uncritically structured its authority in terms of a patriarchal psychology that we have come to regard patriarchy as nature, indeed as God’s law”. He, however, called upon us to question the psychology of patriarchal manhood and womanhood – its force in our society and in our politics. Calling this a “fatal flaw” in the impugned decision, the court set it aside, with a direction to the school to take a fresh decision without being influence by the filing of the petition, but considering the judgment instead. The decision was directed to be taken within two months.